Blood Fever is about to spread across the US as the release of author Charlie Higson's second Young James Bond novel nears release. Published on June 1st 2006, the hardback edition of "Blood Fever" will feature a new departure from the regular cover art with a new picture by Young Bond artist Kev Walker. 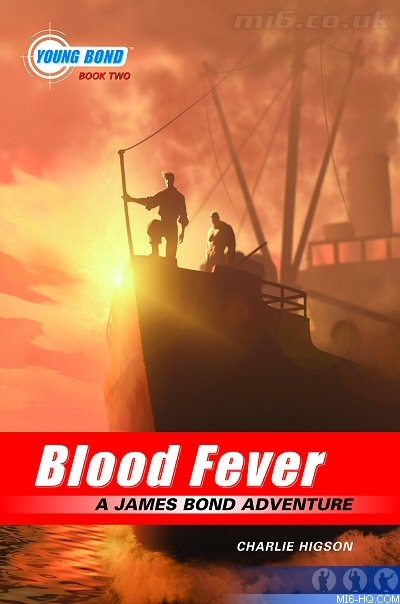 Seen here for the first time in high resolution on MI6, the cover art features the pirate boat that is central to some of Blood Fever's key action. 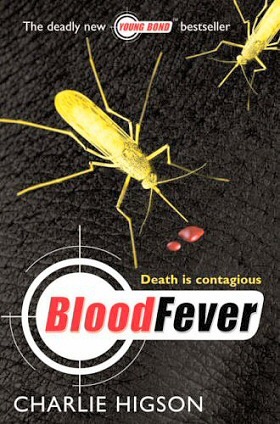 As revealed in the MI6 interview with Charlie Higson, "Blood Fever" will be released in the USA unedited, unlike "SilverFin" which saw variations from the original UK edition. Later this month, YoungBond.com will be launching exclusive coverage of USA-based news to coincide with the paperback edition of "SilverFin" hitting shelves.